Depending on whether you get a quesadilla or a CLIF Bar, you’ll most likely be throwing your trash in either the “compost” bin or the “landfill” bin. A good way to remember which bin to chuck your leftovers in is to ask yourself, “Would a hungry worm or select detritivore eat this?” If the answer is yes, then throw it away in the compost bin. If the answer is no, then throw it away in the landfill bin. This trendy drink has been sweeping the student populace. With that, comes many, many empty cans. You could choose to dispose of them in the “cans/bottles” bin, but if you want to be super cool, consider starting a yerba mate can collection to impress your friends with the next time they come over for a homework party. Disclaimer: This will only work if your friends don’t drink yerba mate or don’t consume any caffeine in general. This is urgent. To prevent the rot from spoiling what’s left of college, consider tossing it in the “landfill” bin. This way, there is little to no chance of it coming back to you in a recycled form. If you use the landfill bin, then your GPA is almost guaranteed to end up in a different city. You swear to never have owned that Hard Rock Cafe T-shirt that is sadly splayed across your side of the room. It looks like it barely fits your roommate. With that in mind, you’d be doing your roommate a favor to get rid of it. Since we are talking about clothing here, the safest bet to get rid of the trash would be to donate it or even better, turn it into a doormat. Sure, there was a time when you both shared a common taste in music, but you both have inevitably become more distant over time. The appeal of certain artists has fled your now more sophisticated palette. In hindsight, you realize that if your relationship had been based on music alone, breaking up would’ve been for the better. We recommend you place the playlist in the “recycle” bin to avoid karma and so you can look forward to new relationships with new opportunities to discover different music. 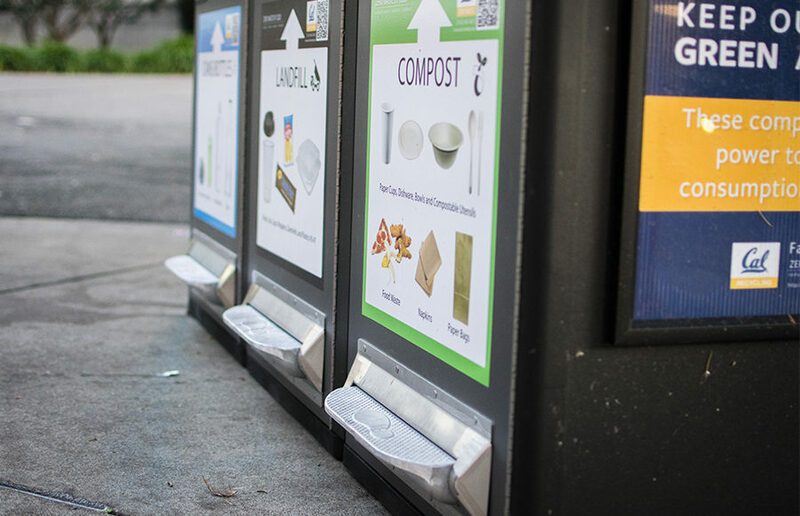 If you would like more in-depth information about proper trash disposal, please refer to this wonderful article written by the campus Student Environmental Resource Center!